Beloved book of Bear's continuing sleep while the animals have a party in his cozy den. Following the adventures of a ruby-throated hummingbird from Michigan to Costa Rica. Includes colorful maps of migrations and ranges. Saturday, March 19th, 10:00—11:30 a.m.
Open to all ages. Celebrate the first day of spring by being outside! 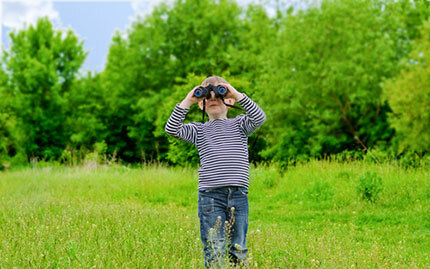 We will provide binoculars for the kids to use to see which birds have returned to the area. 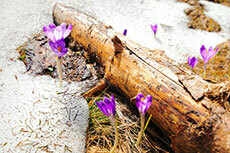 We will look for other signs of wildlife and any emerging plant life ready for spring. Dress appropriately for weather! Sign-ups are encouraged — please use Facebook or call Juliet at 201-233-0946. Call if weather is questionable. Meet in the parking lot of the Newell Tract, found on the West side of Cranes Grove Road. Join us for any or all of these evening outings to watch and listen for American Woodcocks performing the “Sky Dance!” When and if this begins is an educated guess  so be sure you call the leader before you make the trip! Some people call the American Woodcock the timberdoodle. Its large eyes are located behind its ears, which allow it to see all around. Our Audubon chapter will hold three Woodcock Watches: March 15, March 23, and March 31. All happen at 7 p.m. at Elkhorn Creek; see our Feb./March Newsletter. The flight behavior of the males is called “courtship” which is the behavior of male birds and other animals aimed at attracting a mate. 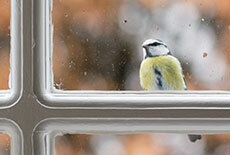 “Courtship” is one of our Naturespeak words discussed in the Feb./March Newsletter on page 5. They eat earthworms and other invertebrates they find in the soil, including snails, millipedes, spiders, flies, beetles and ants. * Some information taken from Cornell Lab of Ornithology. Check it out! 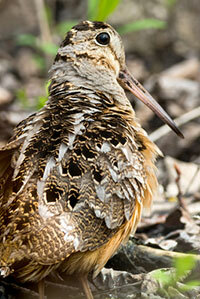 Can you spot the Haiku poem about the Woodcock in our Feb./March issue of the newsletter? I’ll give you a hint...it’s on page 2! Resource Guide Supplement to Last Child in the Woods Designed for parents, teachers, and community leaders to help them encourage children’s enjoyment of the great outdoors. Severson Dells Nature Center Located near Rockford, IL. Sierra Club Outdoors The program's goal is to give every child in America an outdoor experience. Several family members or friends can pretend to be a flock of migrating birds—perhaps in a V-shape as with geese. Have them rotate position so the lead bird can go to the back for a break and another moves into leadership. As migration brings more birds to our area, you can welcome them with a homemade bird bath as well as commercial ones. They can drink and bathe and fluff their feathers after their long journey. You can simply use a garbage lid. Or use large plant saucers or shallow bowls placed on tree stumps. The water should be no more than 3 inches deep. If it is deeper than that, you can put gravel or stones in the bottom—which is a good idea anyway to anchor it more firmly. Be sure to change the water and to keep it clean; you can hose it down for a quick cleaning; occasionally wash with warm water and soap and a brush; scrub it vigorously, then rinse thoroughly. An adult can add a little bleach to the water; in that case, take special care to rinse thoroughly. 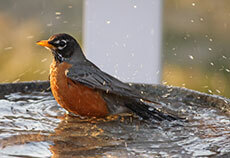 Put your birdbath near shrubs or trees. Use sparkly ribbons or strips of black garbage bags; the glitter and flutter will help to warn birds away. Or you can draw flowers or squiggly lines with tempura paint. Ideally, these devices would be about 4 inches apart, but you can judge how much you need by whether birds frequently hit your windows.